Paul & Joe are celebrating their 20th Anniversary with this purr-fect collection of fan favorites. 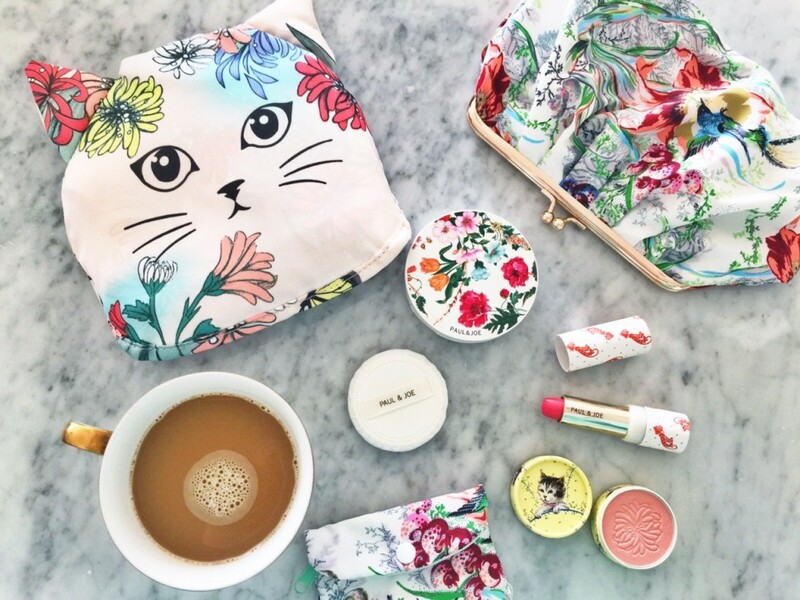 The adorable cat-themed collection includes four of the brand’s most beloved beauty items from over the years which all nestle nicely in to a chic tote, featuring the Paul & Joe 20th Anniversary Exclusive Print, that then folds back in to a cute feline friend! The snap frame pouch is made from the legendary hummingbird design fabric that was so popular at its June 2006 launch that customers waited in line for hours for this coveted clutch. The collection also includes Face Color in Cheerful Tulip, Lipstick in Talk of the Town and their Pressed Compact Duo that was originally launched for Paul & Joe’s 10th Anniversary.